SIS440 was strictly developed by TDS for teak deck seams. It is a well tested and proven product in hot or cold climates and needs NO PRIMER. A one-part silane polymer that forms a solid rubber compound, it is better than the polysulfides, polyurethanes and MS polymers. It has the highest rating resistance to UV, excellent resistance to chemicals and excellent temperature stability. 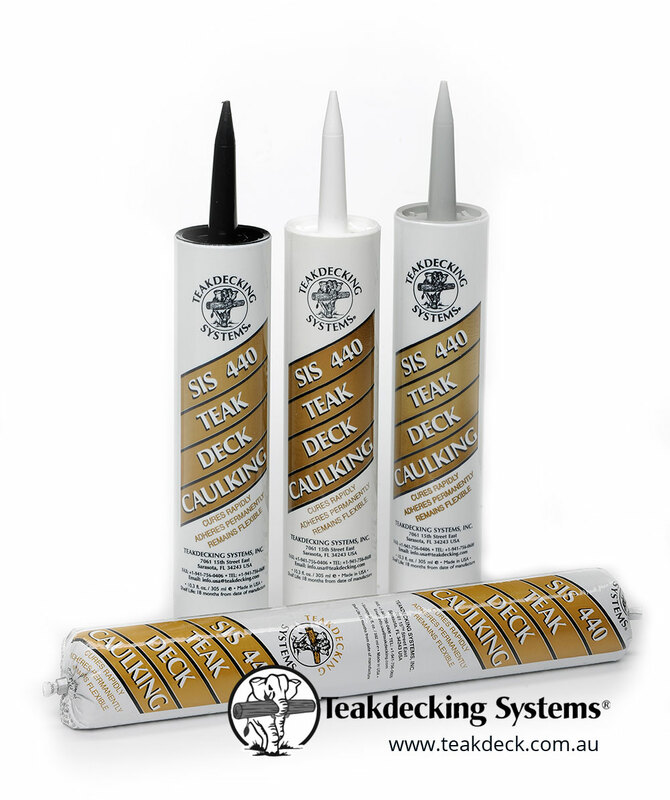 SIS-440 Teak Deck Caulking is a one-part, paste-like neutral cure caulk which, when exposed to moisture in the air, reacts to form a tough, flexible solid rubber compound. The sealant does not sag during cure, and has excellent temperature stability and chemical resistance when cured. Because the sealant is neutral cure, it is non-corrosive to all substrates. We are currently out of stock of all TDS SIS440 Caulk.